God wants something for you – more than you could ask for or imagine. And we do, too.  Thanks for your willingness to give to God’s work through Radiant Life. It is through faithful givers like you that God enables the church to press toward its mission of reaching the un- and de-churched by living like Jesus and sharing His love. Want to join us in our mission of reaching people with the lift-giving message of Jesus? Your generosity enables us to help more and more people experience a life-changing relationship with Him. We are truly grateful for your giving and hope the convenience and simplicity of online giving will be helpful to you. Financial giving can be divided into two categories: tithes and offerings. The Bible teaches us that we worship Jesus with our tithe, which is ten percent of our income contributed to the church on a regular basis. When we feel called to give over and above our tithe, we do so as an offering. Login to our convenient, secure giving portal.